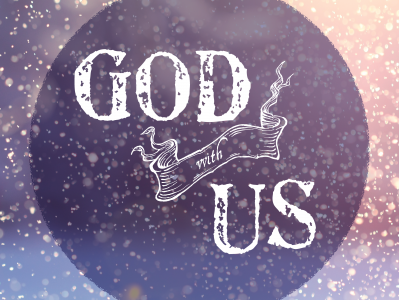 The Blog of Jared Kirk: God with Us... at Easter? God with Us... at Easter? Easter is right around the corner. And that means two things. Candy and inviting people to church. Well, that and Jesus rising from the dead. Heather and I have been going through Becoming a Contagious Christian, and as a result we've invited more people to church in the last couple weeks than we have in the last year. But one of the things I've noticed is that we're not doing that much different, except now we are thinking about it and praying about it. Why do I mention all this? What does this have to do with the Gospel, you ask? Part of the Gospel is Emmanuel, or God With Us. And when Jesus left this earth it wasn't as though Emmanuel stopped. Instead Jesus sent his Holy Spirit to work and to guide. So when you go to invite someone to church or share your faith you can know that God has already gone before you. Emmanuel isn't over, it is just beginning. Most of the fear we feel in speaking about church or spiritual things is a fear that we're on our own. But we're just cooperating with a work that God already started. It's not all on your shoulders! That is God With Us.